BMW has completely changed the M line-up these days. The German manufacturer decided it’s a good idea to try and bring out not only the ‘normal’ M cars but enhanced versions as well. Therefore, in the M4 range for example we now have no less than four different models: the BMW M4, BMW M4 Competition, M4 CS and M4 GTS. The last two are basically limited-run models but they are a different variation of what is, in the end, the same base car. The differences between them might seem small at first but they do set each model apart in every comparison you could make. I had the privilege of testing the BMW M4 CS for a couple of days and I couldn’t believe just how different it was compared to the normal M4. On paper, the differences seem extremely small, especially compared to the Competition model but you can feel every single one of them on the track. 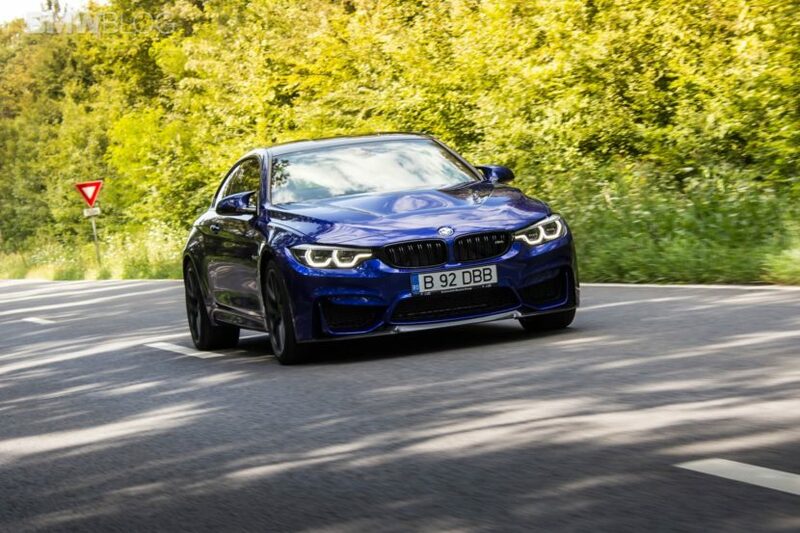 From the different suspension setup to the added grip of the rear axle and the different engine behavior, everything works in favor of the M4 CS. In the engine department it gains 10 HP compared to the M4 Competition and, most importantly, 50 extra Nm of torque. That’s what makes the difference in the video below along with the tires – adding grip – and the lower weight compared to the 450 HP M3 Competition. However, before making a decision on whether the CS is worth it or not, you should know there are some drawbacks to it as well. From the lack of storage spaces, to the sound deadening, less comfortable ride and considerably higher price tag. But, in the end, who are we kidding? Given the choice, financial burden aside, everyone would go for the limited-run CS. Previous post Is BMW i Division’s biggest problem its styling?